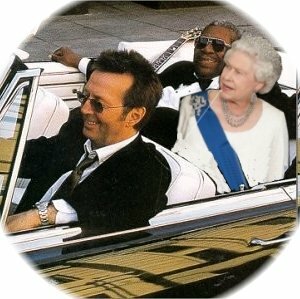 Eric Clapton is the undisputed King of British Blues. 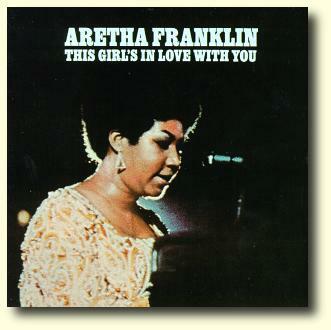 In the 60’s he was a musical butterfly of sorts, generally spending a year in a group. In 1964 it was the Yardbirds. In 1965 he joined John Mayhall and the Bluesbreakers. In 1966 he formed the “supergroup” Cream which lasted two years. That was followed in 1968 by another supergroup, Blind Faith. This was also the year when Eric met and recorded with Duane Allman. 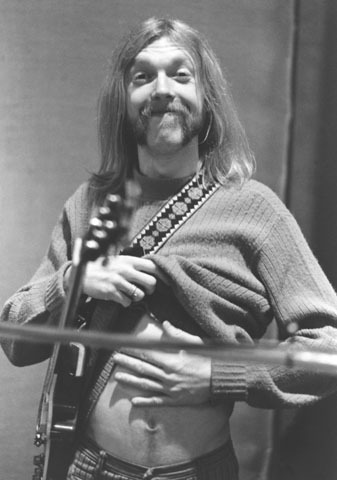 In this interview, Duane Allman arrived at the radio studio drunk and high, but interestingly when the subject turned to Eric Clapton he became very focused and serious. Although this period marks the beginning of a serious downward spiral in Eric’s life in regard to drugs and alcohol, the double LP Layla, recorded when Clapton was 24 and Duane Allman was 23, is a milestone in his development as a singer, song writer, and leader. Clapton and other prominent rock musicians in the U.K. knew of Duane Allman from his studio work with Aretha Franklin (The Weight) and Wilson Pickett (Hey Jude). Initially they thought he must be some veteran bluesman who looked something like Muddy Waters – they certainly didn’t imagine that those funky soulful licks were coming from a skinny blonde kid. On whereseric.com there is a nice bio on Duane and an account of how Eric and Duane came together, so I won’t repeat that here. But the fascinating aspect for me is that Clapton asked Allman to join his band. Now that’s a daydream – imagine the course of musical history in an alternative universe where Duane had said yes. Actually, it would have made a lot more sense for Eric to have joined the Allman Brothers Band. In fact, after Duane’s death there were lots of rumors that Eric would be joining the band… in interviews Eric confirmed that they weren’t true, but he also said that it was an interesting idea. 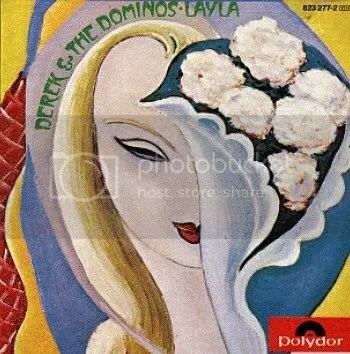 On the 20th anniversary edition of the Layla recording there are two extra disks with alternative cuts, but also some great jam sessions in various combinations of the Allman Brothers Band and Derek & the Dominoes. Considering that they were meeting musically for the first time there is some great interaction, and it gives you an inkling of what such a band might have sounded like. On the other hand, this year I collected a number of Youtube clips of Eric Clapton and recently watched them end to end. I can’t even recall all the people he has played with – BB King, Albert Collins, Buddy Guy, Muddy Waters, Howlin’ Wolf, the Stones, the Beatles, Santana, David Sanborn, Chuck Berry, the Band, Bob Dylan, Carl Perkins, Johnny Cash… simply an amazing career!!! So considering that, and Duane’s Fillmore East & Eat A Peach, maybe things went as they should have musically. When he and Duane met, they were in the same spot in their lives – young, reckless, and heavily into drugs and alcohol. Interestingly, in 2006 Eric turned again to the Allman Brothers for a slide guitarist – this time Derek Trucks, born 10 years after Derek & the Dominoes recorded Layla. Derek was actually named after the the group. Despite their age difference and positions on the career curve, Derek Trucks and Eric Clapton have lots in common: drug free, new fathers, and happily married men. Eric gave Derek some great exposure, and Derek gave Eric’s tour some genuine magic, helping him to recreate the spirit of the Derek & the Dominoes era. I had the great fortune to catch the opening show of the 2006/07 world tour, standing only a few feet away from center stage. I don’t believe Eric is deteriorating as he claims, rather it is that he isn’t playing as much as he did in previous decades. Derek Trucks has been on stage nearly 300 nights a year for over a decade, and this was very apparent to me when contrasting his playing and Eric’s. Derek was more fluid, faster, and precise. However, a couple of months after the first show I saw them again in Prague and again managed to stand just a few feet from Eric and Derek. Eric was indeed more proficient after being on tour for a couple of months. Moreover, beyond guitar playing, what really impresses me about Eric is his singing. He has absolutely improved over time, he’s a great bluesman in every respect. Personally, I don’t like making music into a competition, so I’ll refrain from saying who’s better, etc. That’s a silly exercise – if someone’s playing or singing touches your soul and moves you, that’s all that really matters in the end. Here is a clip of Eric and Derek doing an old Derek & the Dominoes song, makes me wish that Eric would show up at the Beacon in NYC when the Allman Brothers do their annual run. If you look in the Derek Trucks News section of this blog you will find a video interview with Derek Trucks in which he speaks about Eric Clapton. Very nice, good info. But why is the Duane interview running double time? Tried a few browsers … no go. Thanks Leon for bringing that to my attention. I replaced the on-site player and posted a link to the MP3 file instead. I tried it and it now seems to play.